There are about 250 recognized species of vriesea bromeliads, all native to Central and South America. There are also dozens of hybrids. Roughly speaking, vriesea are divided into plants that are grown primarily for their foliage and those that are prized for the flat, brightly colored flower spikes. Either type is adaptable to indoor culture, although the flowering ones are much more common in garden centers. These bromeliads are closely related to the tillandsia, which is especially apparent in their flower structure. Light: Indirect light to shade. The foliage forms will develop better color with slightly brighter light. Water: Keep central cup full. Change water frequently with spring water. Soil: These are epiphytes, but can be potted in a rapid draining mix. Fertilizer: Very sparingly, in the center cup. Use liquid fertilizer. Like all bromeliads, vriesea are propagated by separating offsets from the mother plant. However, some of the more popular varieties, including the sword plant, send their pups from the base of the flower stalk, as opposed to the more common side shoot. This makes collecting the offset harder, so you should wait until it's more established. Mature vriesa will not need repotting. Pot up small offsets into 4-inch or 6-inch pots. The most common vriesea is the flaming sword, or V. splendens. This plant features a flat, bright red flower spike with small yellow flowers. Other flowering varieties include V. vulcana, V. Favorite and many others. These plants have been extensively hybridized. Foliage types include the V. hieroglyphics, with beautiful banded leaves, and V. fenestralis, with long (almost 2-foot) leaves and a purplish mottling. V. fenestralis flowers with a green bract and yellow flowers. Vriesea are fairly typical bromeliads. 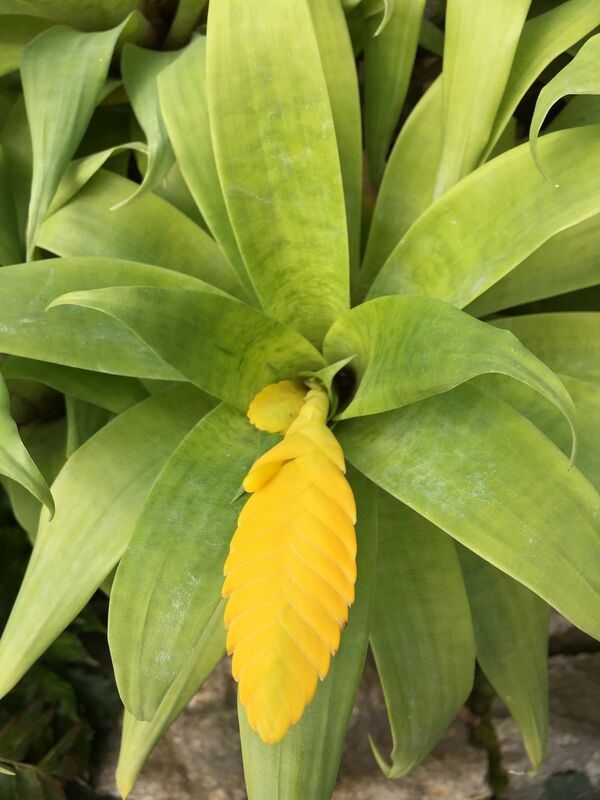 They can be grown in stronger shade conditions than many other kinds of bromeliads, and their size varies from medium to fairly large. One interesting tidbit: the flowers of V. fosteriana smell like putrid fruit to attract the bats that pollinate the plant in the wild. Warmth is generally essential for vriesea to thrive.